There was 24 in stock on 22 April 2019 at 08:30. The BT-090 is for middle-size bikes. 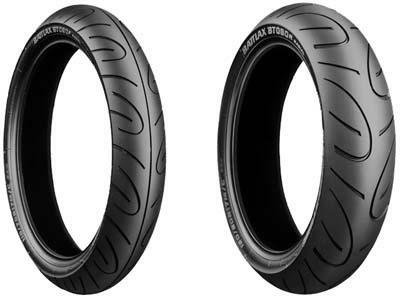 Refined by using the latest technologies from Bridgestone, the BT-090 is perfect for aggressive riding on both circuits and streets. The rigidity of the tyre induces better contact feel in corners, especially for slide control during races. The compound and pattern offer improved grip and handling in both wet and dry conditions, with better high-speed stability and anti-shimmy performance ensuring a smooth ride. The Power to Stop SBS Pads.